Back when King of Darkness released, I first became buddies with a blogger named Jillian (you know her, you love her) who at the time wrote for a groovy paranormal blog called Dahrk Portal. 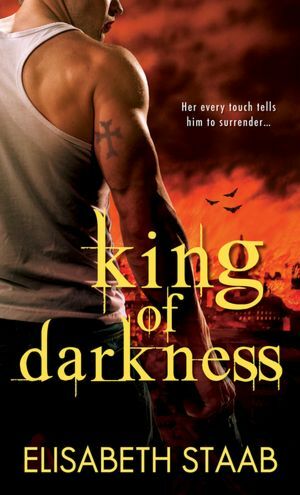 She wrote a lovely review of King of Darkness, and very kindly sat down to interview Thad and Isabel. She has since moved on to have her own very successful Read-Love-Blog blog. Three years later, she has dug up the original character interview with Thad and Isabel from King of Darkness! You can find it here. Many thanks to Jillian for finding this great bit of nostalgia – I’d lost my copy since the computer on which it had been typed had long ago gone to the great electronics bin in the sky. And thanks to all of you for checking it out, I hope you enjoy!